Mrs. Duffy, a widow of a former car dealer allowed Mr. Tynan to take the old, rusted racecar following him cleaning her barn. As he described it, it was old, rusted and filled with bird waste when he initially got it from Mrs. Duffy. He embarked on a long and expensive repair. He spend as much as €40,000 on buying new parts to the car and thousands of work hours to bring the car back to its unique shape. However Mr. Quinn turned up at Mr. Tynan’s premises in 2012 with the car’s logbook in order to claim the car back. 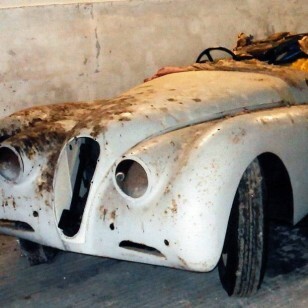 He spoke that he kept the car in Mrs. Duffy’s barn as they agreed with her husband prior to his death in 2001 to store it there for the time being. Justice Linnane was not impressed by the fact that Mr. Quinn had only attempted to register the car in 2012, 44 years later from the time when he bought the car. The judge also found against the fact that there was any sort of agreement between Mrs. Duffy and Mr. Quinn to store the car for him. Mrs. Duffy also denied the fact that at her husband’s funeral back in 2001, she has been approached by Mr. Quinn who mentioned the car. She said that she could not have thought about the car especially that it was her dear husband’s funeral. Therefore, the Court found Mrs. Duffy a very creditable witness to the case and ruled against Mr. Quinn by declaring that our client- Mr. Tynan was the rightful owner of the old, restored car which could now be worth €120,000. Justice Linnane also awarded costs against Mr. Quinn.